All Social Sport participants are required to adhere to the Player Code of Conduct. All team members are required to wear the same coloured (matching) tops. Appropriate exercise attire and non marking shoes must be worn. No Denim, cord pants, bare feet, thongs, open-toed shoes and jewellery of any kind (other than medical jewellery) is permitted. You will not be permitted to participate in social sport unless properly attired. Netball - Teams must provide their own bibs, however these can be hired from the Service Desk at a cost. Each member of the team must be wearing the same colour top. A 1 point penalty will apply for each player not in the same colour. Indoor Soccer - Teams are required to wear shirts of the same colour with numbers displayed on the back of the shirt. It is strongly recommended that all players wear shin pads. Basketball - Teams are required to wear matching singlets with only the following numbers for ALL players: 4-15, 20-25, 30-35, 40-45, 50-55 - these are the legal basketball numbers and must be displayed on both the front and back of the singlet. T-shirts or compression tops (such as TXU, Skins etc) that are the same colour as the singlet may be worn underneath however no polo shirts or t-shirts with buttons may be worn. All players must wear matching shorts with no pockets - tracksuit pants are not allowed. Compression garments may be worn under shorts. We have sets of numbered singlets for teams which can be hired out for games at $12 per team set per week as an alternative to having to buy your own uniforms. Black shorts without pockets will also be available to purchase for $20 per pair. 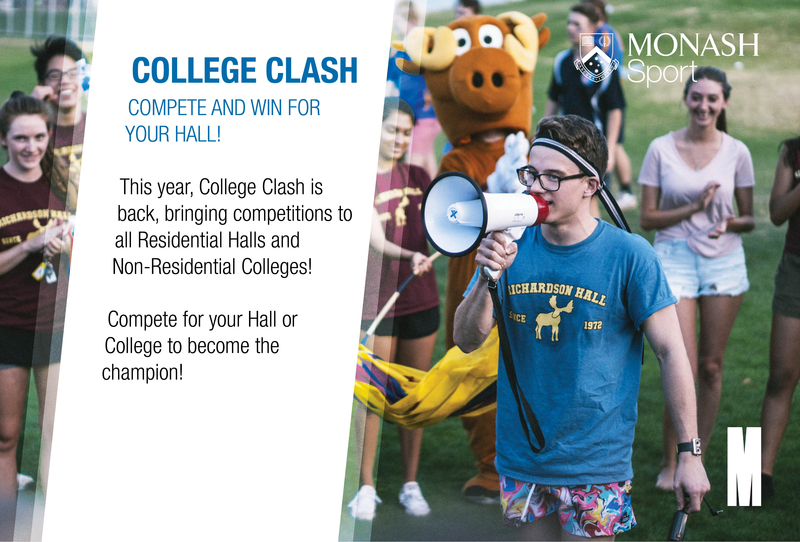 If your team needs to forfeit please send an email to socialsport@monash.edu stating your teams name, competition you participate in and game time. Please notify us as soon as possible if you plan to forfeit so we can notify your opponents and please be aware that the below forfeit fees apply. Players must be registered to your team and have played a minimum of 3 rounds of competition to be eligible for finals. No additional players can be registered to teams 3 weeks before finals begin. Any teams breaking the above rules risk disqualification. Our competitions are open to students, staff and the wider community.